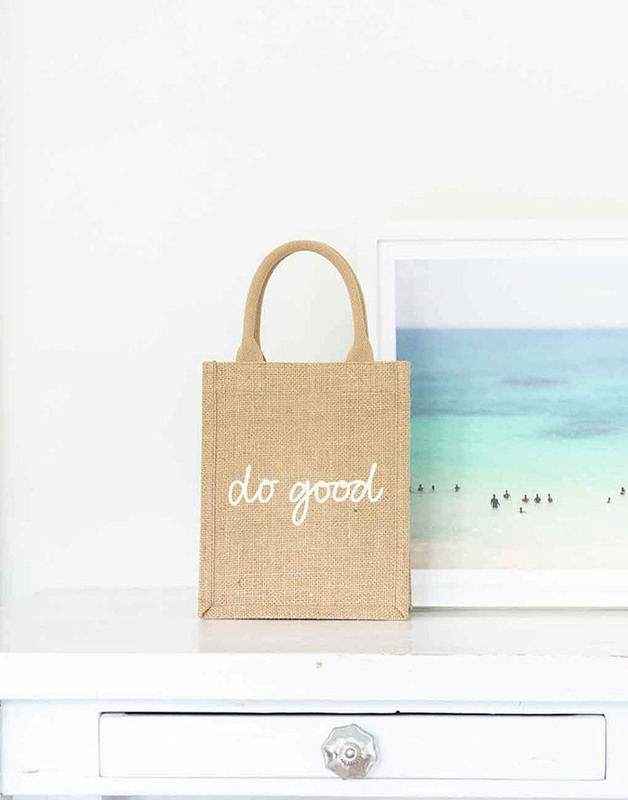 Since everyone is doing a lot of shopping this time of year, you can make a difference in the world just by opting to shop for gifts that give back. At my nonprofit store The Little Market, our mission is to give female artisans from around the world access to fair wages, and empower them to rise above poverty and support their families. We source all of the artisans’ products ethically and practice fair trade principles. Many other brands and retailers also donate a portion of proceeds to a favorite charity if you shop on Giving Tuesday, so head over to your favorite shopping sites and see who is giving back. Both of my dogs are rescue pups and they have brought so much joy to my life. I wish I could adopt all the pups, but I can at least spend a day volunteering at a shelter. Spending time with animals is good for your heart and soul, and you will get just as much out of it as they do. And if you do have room in your home, take it one step further and foster (or adopt!) a dog this holiday season. There are so many families out there who can’t afford basics let alone holiday gifts for their kids. Baby2Baby’s Family2Family program gives you wish list information along with a shopping checklist to buy warm clothes and gifts for a homeless family with young children ages 0-12 in L.A. If you are living outside of L.A. you can look for similar programs in Baby2Baby’s national network. With all the holiday shopping going on, it can be easy to go overboard and lose track of your budget. So before you drain your bank account, use Giving Tuesday as a reminder to spend some of your seasonal shopping budget on those who are truly in need. Food and shelter are some of the most basic human needs, yet many people are without these things. Volunteering at a homeless shelter is one the best ways to help people in your own community who really need it the most. Knowing you will end up with a few new things this holiday season, why not make room in your closet by donating older items to those in need. The holidays are a perfect time to implement a ‘one in, one out’ rule, where for every new item you add to your wardrobe, you donate an older piece. This is another very meaningful way I have been able to volunteer my time over the years. If you like spending time with kids, reading books or doing arts and crafts, you can spend a few hours lifting the spirits of kids who are sick. My good friends Hannah Skvarla and Haylie Duff started the @we.love.malibu auction to raise money for firefighters and families in Malibu who have been effected by the recent wildfires in Southern California, and you have until November 30th to bid on the many amazing items. Firefighters and EMTs work tirelessly to keep their communities safe. Show them your gratitude my dropping by the fire station with a batch of homemade cookies, a carafe of coffee, or a bundle of thank you notes from your kiddos. We all spend so much time on social media sharing snippets of our outfits, vacations, meals, and family lives. With all of those things to be grateful for, consider using your social platforms today to raise awareness about a cause you really care about. What are you doing to give back this holiday season? Share below in the comments section. Affiliate links may have been used in this post.